Intermountain Healthcare Heart Institute researchers have identified eight new gene mutations that may cause or contribute to idiopathic dilated cardiomyopathy. 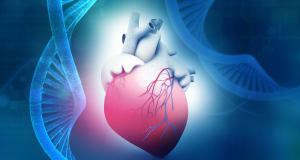 SALT LAKE CITY , UT, USA , April 17, 2019 /EINPresswire.com/ -- In a new study from the Intermountain Healthcare Heart Institute in Salt Lake City, researchers have identified eight new gene mutations that may cause or contribute to idiopathic dilated cardiomyopathy, a form of heart disease not caused by known external influences, such as high blood pressure, obesity, smoking, or diseased coronary arteries. Findings from the study were presented at the American College of Cardiology’s Annual Scientific Session in New Orleans last month. Previous research has already found variants of TTN in patients with idiopathic dilated cardiomyopathy, but the story has been incomplete.